Our Emerald Ash Borer experts will visit your home and discuss saving your Ash Trees. The consultation is FREE. Let Natorp’s Save Your Ash Tree. A non-native beetle (metallic wood-borer family) that have invaded North America and is threatening to infect and destroy all Ash trees. Tens of millions of Ash trees have already been lost to EAB, including Ohio, Kentucky, and Indiana, as well as parts of Canada. If you wish to Save your ash trees, you need to take action now! Treatment should be done in early spring or late fall. How can my Ash trees be saved? For Smaller Ash Trees 8″ diameter or smaller (measured 48 inches above soil level)- You can treat your Ash trees yourself by applying a soil drench systemic insecticide containing ‘Imidacloprid’ yearly in Spring. Products for treating are available at Natorp’s Nursery Outlet include Optrol (a new product with more active ingredients for protecting Ash trees). For Larger Ash trees / Trunk-Injected Systemic: For Ash trees larger than 5-inch trunk diameter (measured 48 inches above soil level), Natorp’s recommends trunk injections TREE-age (emamecting benzoate). Research shows this is the most effective treatment for control of EAB and is the only product that provides 2 years of control with a single application. 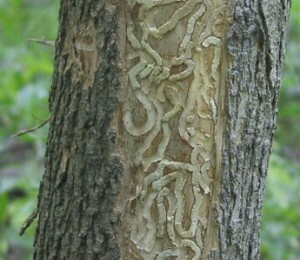 TREE-age is injected directly into the trunk of the tree, absorbed then transported with the tree to provide EAB protection. The injection is made after the trees have leafed out and are actively growing, typically mid-May and after depending on the weather. Injections are made by Natorp’s fully-trained professionally licensed applicators. Using the Tree-age injection, the cost is $12 per diameter inch, with a minimum charge of $125. Five or more ash trees $10 per diameter inch trunk diameter. Let the professionals at Natorp’s SAVE YOUR ASH TREES! (513) 398-GROW(513) 398-GROW or email us questions@natorp.com.